If you are missing the dining experiences of your Gold Coast boardwalks or San Francisco Marina Waterfronts, then this is the perfect place to go to without carrying your passport with you. Just across the Sentosa bridge, you will find a slice of heaven in this idyllic marina waterfront with a luxurious sunset and a relaxing atmosphere by the sea. Where am I talking about? It’s Quayside Isle @ Sentosa Cove. A tranquil, peaceful place to dine with the family or a choice destination for romantic couple-time without the kids. Quayside Isle @ Sentosa Cove has a good selection of restaurants along its marina waterfront with a great view of the yachts and the sunsets. It is the perfect place for late morning brunches or cosy family dinners. 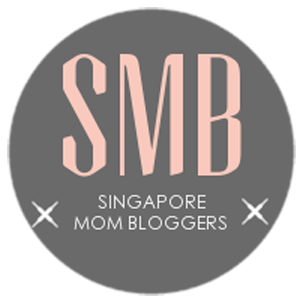 Your kids will not be bored as the management organize regular activities like the recent Singapore Yacht Show (6 – 9 April) which they bundled with fantastic dining deals with the restaurants along the marina waterfront. And they celebrate festive occasions like Easter, Halloween or Christmas. Come catch the roving Easter Bunny this Easter Weekend (14 – 16 April). If nothing else, your young kids will have fun walking, running or cycling along the boardwalk. Every month, the management organize a theme-event. This month is Awesome April because Uncle Ringo is around. For those with young kids (below 8 years old), Uncle Ringo offers a selection of fun from the inflatable bounce house to carousel rides to the fun game stalls. These fun activities are available every weekend (Fri: 5-9pm, Sat & Sun: 2-9pm). Create precious childhood memories for your little ones that they will treasure when they grow up. For the older kids, they are tougher to please. While the tweens (10 – 12 year olds) might still enjoy the game stalls, the teenagers will probably snub it as lame. No worries, the boardwalk is ideal to take them out on a lovely stroll. Point out the scenic views of the yachts by the marina front, you might be surprised at how easily they open up and start telling you all about school, life and friends. Remember to snap some pictures because the natural lightning from the sun and the backdrop of this place is perfect for those iconic photos in your family albums. These photos were taken at 6pm in the evening when the sun was setting. The kids had fun horsing around and photo-bombing our attempts to take a few romantic couple shots. Not too young to photobomb, that’s for sure. Look at their cheeky faces!! Quayside Isle @ Sentosa Cove is an integrated retail development with 15 contemporary international dining concepts and 9 specialty stores along a beautiful waterfront with a breathtaking view of luxury yachts and captivating sunset. We are celebrating Hubby’s birthday and he decided on Greenwood Fish Market because he remembered the oysters from our last visit (during Halloween). It was lovely to dine outdoors with a great view of the marina and enjoy the nice sea breeze in the evening. We moved indoors a while later as someone (one of our kids) was complaining of the heat, the ants and just about anything that annoyed a tweenager. So, here is a sneak peak of what the interior looks like. They have an impressive wine selection. We started with appetizers: a fresh bowl of Lobster bisque and three different types of lobster. For our mains, the kids both wanted the fish and chips (adult portion), I went for my vongole pasta while hubby has a taste for the Pulled Pork. And because it was the hub’s birthday, the restaurant was kind enough to treat him to a surprise Chocolate Molten Lava cake (no charge)! What a fantastic service! Thanks Greenwood Fish Market. We will be back (maybe next time without the kids).